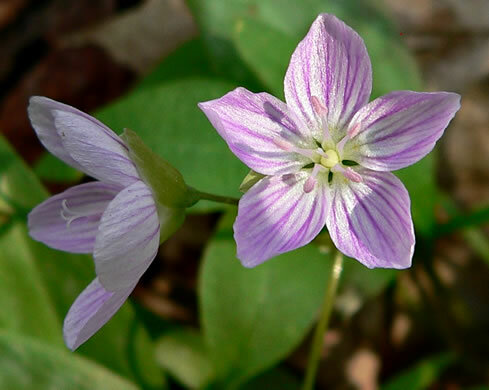 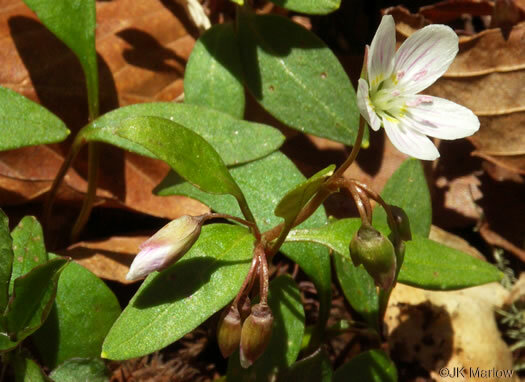 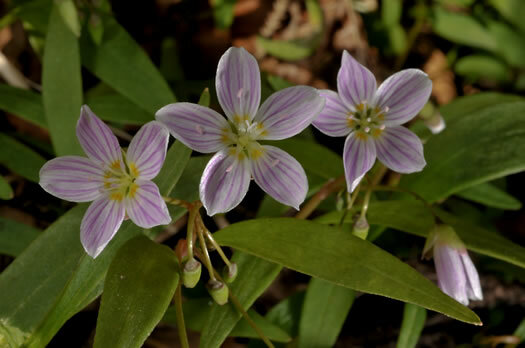 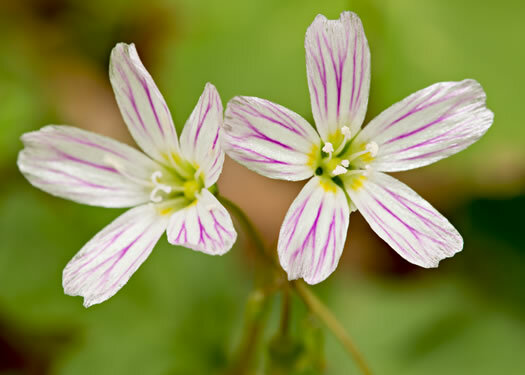 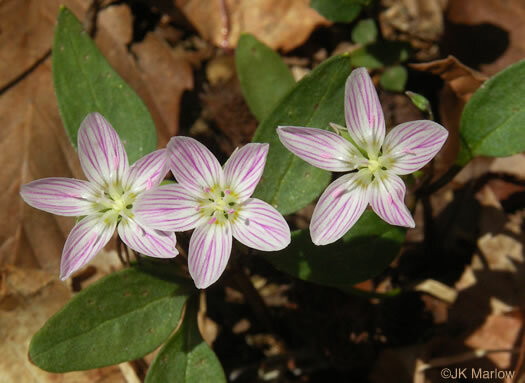 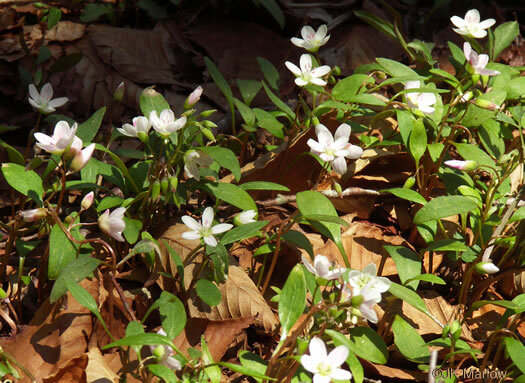 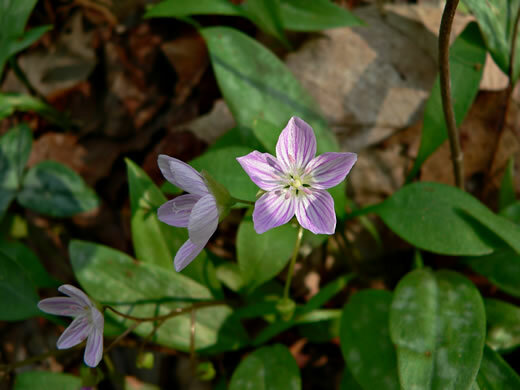 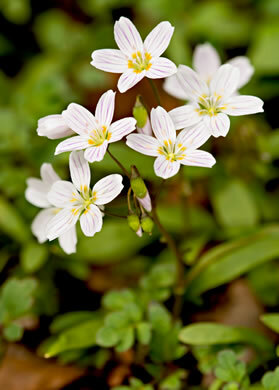 Showy, pink-veined flowers borne in a loose raceme of 2-18 flowers, per Wildflowers of Tennessee, the Ohio Valley, and the Southern Appalachians. 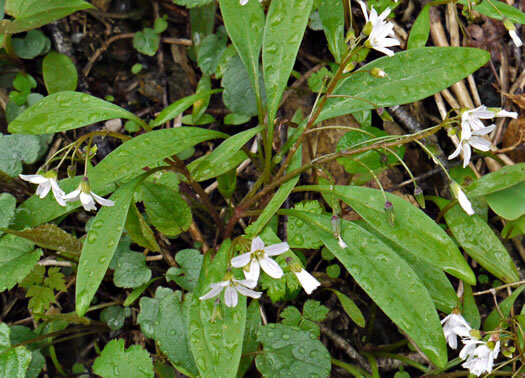 Leaf blade 1.5-7cm x 1.5-3.5cm, clearly differentiated from the petiole, per Vascular Flora of the Carolinas. 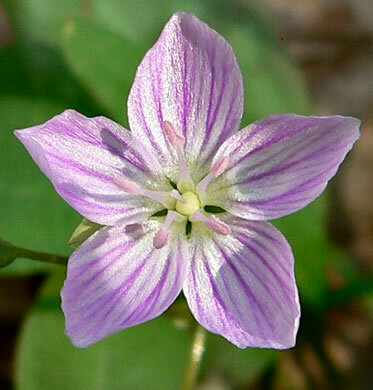 Sepals persistent, leaflike, unequal, 3-5mm, per Flora of North America.